The Press Release below is reprinted from the Center for the Advancement of Science in Space (CASIS). See the original Release at the CASIS website. NASA’s International Space Station website has also run a featured article based on the press release. KENNEDY SPACE CENTER, FL. (September 30, 2013) – The Center for the Advancement of Science in Space (CASIS), the nonprofit organization managing research onboard the International Space Station (ISS) U.S. National Laboratory, congratulates Orbital Sciences on a successful launch of the Antares rocket and today, on the berthing of the Cygnus cargo vehicle to the International Space Station. Orbital’s successful mission also represents a milestone for CASIS: The first-ever CASIS-funded payloads have now arrived at the ISS. 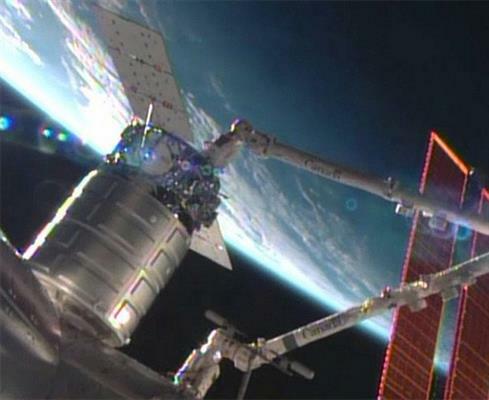 Orbital’s Cygnus cargo capsule berthed with the station Sunday morning. In addition to fostering science and commercial payloads, CASIS is responsible for developing partnerships with organizations such as the Student Spaceflight Experiments Program (SSEP), designed to bring young students closer to the ISS. On its maiden test flight, the Cygnus capsule transported three CASIS-funded education payloads from the SSEP. 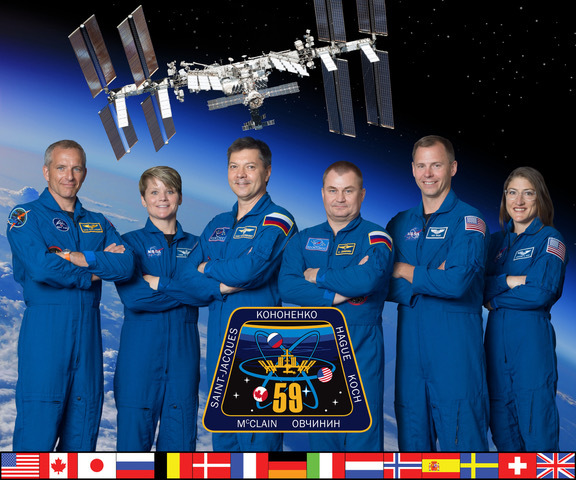 CASIS is a national partner for SSEP, whose mission is to energize students, grades 5 through 12, to design and propose real experiments to fly in low Earth orbit, onboard the ISS. The purpose of their experiment is to observe the effect of microgravity on cell division and to compare the rates of cell division in the absence and presence of gravity, which is dependent on the number of cells produced. The cells that were chosen to experiment with are fibroblasts, which play a critical role in the healing of wounds. With the data from their experiment, they hope to improve the conditions of future life in space as well as to further our current scientific knowledge. Does eggshell disintegration rate in vinegar differ in the presence of gravity and microgravity to infer the damage acids will have against our teeth in space? The resulting information can help in the development of dental products in order to protect teeth from acidic foods while in space. Students here want to test Savoy cabbage in space and see if the seeds will germinate more fervently. They believe this would be good for astronauts and agricultural companies because it would give astronauts and consumers more nutrients and a fresh source of produce. Additionally, the first CASIS-sponsored software was uploaded to the ISS National Lab. Windows on Earth, developed by TERC, will enhance and adapt software for astronauts replacing the previous multi-step process for targeting, photographing and geo-referencing images from the ISS. Orbital Sciences is currently slated to send additional CASIS-sponsored research inquiries to the ISS as early as December. About CASIS: The Center for the Advancement of Science in Space (CASIS) was selected by NASA in July 2011 to maximize use of the International Space Station (ISS) U.S. National Laboratory through 2020. CASIS is dedicated to supporting and accelerating innovations and new discoveries that will enhance the health and wellbeing of people and our planet. The CASIS goal is to bring the magic of space down to earth. For more information, visit www.iss-casis.org. About the ISS National Laboratory: In 2005, Congress designated the U.S. portion of the International Space Station as the nation’s newest national laboratory to maximize its use for improving life on Earth, promoting collaboration among diverse users and advancing STEM education. This unique laboratory environment is available for use by other U.S. government agencies and by academic and private institutions, providing access to the permanent microgravity setting, vantage point in low earth orbit and varied environments of space. The ISS National Laboratory Office at NASA’s Johnson Space Center currently facilitates research initiatives on board the station’s National Lab, but management of America’s only in-orbit laboratory is transitioning to CASIS.